Over its 27 year history, the American Repertory Theater (A.R.T.) has earned renown as one of the best theaters in the country; a reputation forged by its risk-taking presentation of new American plays and provocative interpretations of classic texts. The addition of Diane Paulus as the new Artistic Director marked an exciting point in the organization’s evolution. With a vision of redefining and revitalizing theater for the twenty-first-century visitor, Paulus was ready to expand the legacy of the A.R.T as one of America’s most exciting and innovative cultural institutions. In order to accomplish this, the organization needed to attract and engage new audiences, inspiring them to become active participants in their productions. Looking to clarify and distill the essence of this creative vision and articulate it through powerful new communication tools, the A.R.T hired Minelli. 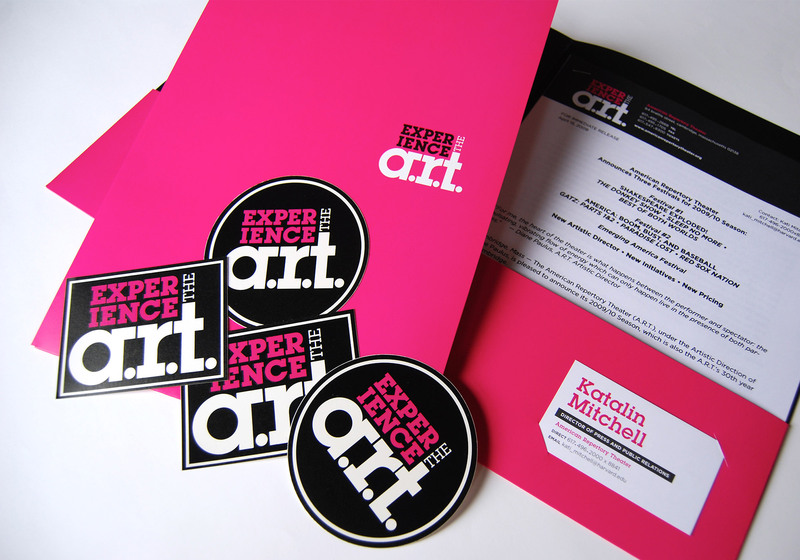 The main message communicated through the identity system is that the focus is always on the audience’s participation. “Experience the A.R.T.” is more than just a headline; it is also locked up with the logo. In addition to a bold and powerful new logo, the theater’s new look also includes an energetic color palette and photography that captures the audience’s experience of the A.R.T. 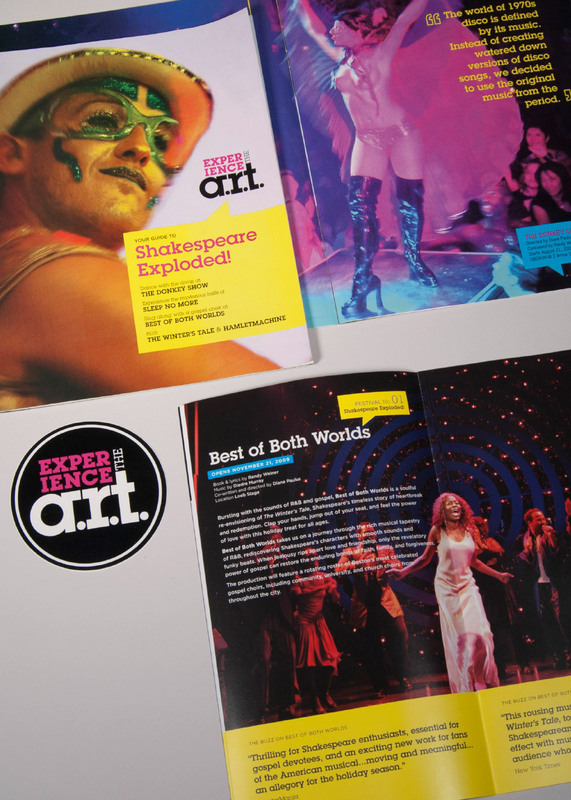 The new identity was integrated into all aspects of the organization’s brand, including season brochures, window graphics, show posters, and a new website launched in May 2009.